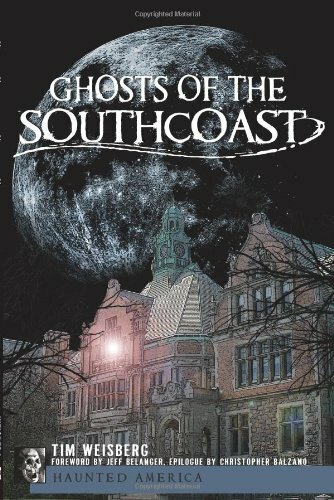 The Wampanoag tribe believed that the Freetown, Massachusetts area was haunted by evil spirits even before the European settlers arrived. Parts of it were also considered sacred lands. When Wamsutta, the Wampanoag Chief, agreed to sell the land to the settlers, it's believed that a faction of the tribe cursed the land, because they were opposed to giving up sacred lands. Many believe that the hauntings and death will continue until the land is given back to the Wampanoag Tribe. It's easy to get to the Assonet Ledge. You just pull into the Freetown State Forest and go into the office. They'll hand you a map of the trail system. You can take a short walk to the top of the Assonet Ledge or you can hike around the pond and get all of the views. It's a beautiful hike, if you dare to walk in the Freetown State Forest. It's part of the Bridgewater Triangle. What's that? Read on. Is it Possible to Export Evil Spirits? 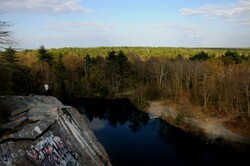 The granite of the Assonet Ledge is believed to have evil spirits living within it. Paranormal investigator, Christopher Balzano, is one of the people who speculates that the granite indeed brings evil spirits with it wherever it's used. The nearby notorious Taunton State Hospital was constructed using Assonet Ledge Granite. Built in 1854 it was the second of state psychiatric hospitals to be constructed. In 1975 it was closed and abandoned. By 2009 very little of it remained. Many of the historic architectural details have been sold off and now reside in homes and businesses throughout the world. Paranormal investigators continue to investigate the site of the Taunton State Hospital. It is home to many reported ghosts, spirits and demons. Many of the Newport, Rhode Island mansions were also made of this granite. Ironically, this includes the Seaview or Carey Mansion. It was used by the Dark Shadows television show as the exterior of Collinswood. When Matt Moniz was younger, he and friends decided to hang out on the top of Assonet Ledge. There is only one way out and back. Moniz was the first and he saw this woman out in front of him. She looked real and solid, not a shadow or some faint spirit. He turned around to tell his friends that they weren't alone. When he turned back she was gone. He was so concerned that he looked over the ledge to see if she had fallen. Later he was told that he had seen the Lady on the Ledge. Christopher Balazano believes that people have combined Indian folklore with this paranormal experience. They often assume that she is an Indian maid looking for her husband. There is no basis in fact for that assumption. Moniz also tells the story that Air Force One (with Ronald Reagan in it) was flying over the Assonet Ledge when UFOs started flying beside it. Jets were scrambled from nearby Otis Air Force Base to protect Air Force One. When the UFO veered away, Reagan supposedly told the pilot to follow the UFO - and he did. Reagan was the commander-in-chief after all. I can find no other references to support the Moniz version of the Air Force One story. 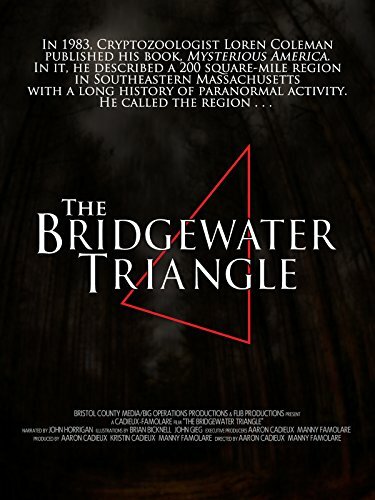 Freetown is one of the many towns that make up the 200 square mile Bridgewater Triangle. The Town of Abington makes up the northern most point of the triangle. Rehoboth marks the lower western corner and Freetown the lower eastern corner. The towns inside the Triangle include Bridgewater, West Bridgewater, Middleborough, Dighton, Berkeley, Raynham, Easton, Lakeville and Taunton. Since early colonial times there have been reports of ghost lights, Big Foot, thunderbirds, Santanic rituals and mutilated cattle. 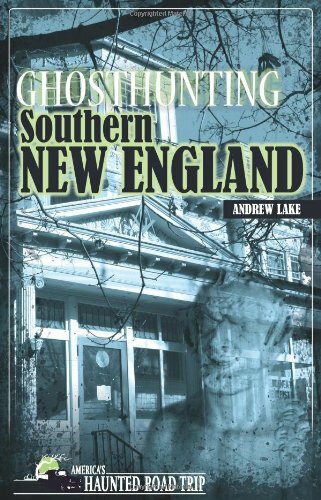 I would highly suggest Christopher Balazano's Ghosts of the Bridgewater Triangle, if you want to study the region in detail. 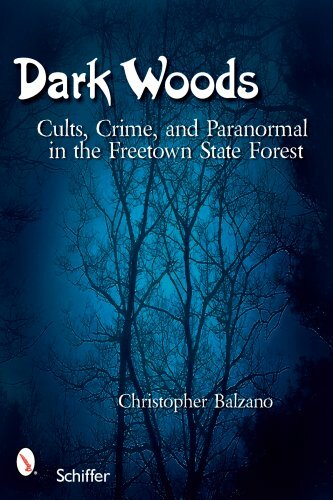 Dark Woods is his book about the Freetown State Forest. You'll quickly understand why many locals don't ever go hiking alone or in small groups. Mary Lou Arruda was last seen riding her bike on September 8, 1978. On Novmeber 11, she was found tied to a tree in the Freetown State Forest. The medical examiner ruled that she had suffocated, because of the string around her neck. Her bike was found by the side of the road the day she went missing. Police saw tire tracks that had an abnormal wear pattern and Benson & Hedges cigarettes near them. Witnesses reported a light-green car with a black racing stripe in the area. This led them to James Kater who drove a light green Opal with a racing stripe, the tires had the correct wear pattern and he smoked Benson & Hedges. He was convicted in 1979 and then won an appeal to overturn the conviction. In 1986, was retried and convicted again. Once more the conviction was tossed out. A 1992 trial ended in a mistrial. Finally in 1996, he was tried and convicted again. His appeals were not successful. He is serving a life sentence in California for his protection. When writer Chris Belacanos wrote his book, it made it more known. Also these towns have been growing, so more people are living in them. I grew up in Mass, but have never heard of this place. I didn't live in that area which would explain it I suppose. Nelda, Yes, I'm gathering that paranormal activity isn't always evil. I especially value the beneficial aspects, when they happen. DerdriuMarriner Paranormal activity isn't always evil. Although in the Bridgewater Triangle it does seem to take on a sinister air. Nelda_Hoxie, That's such a lovely view from the Assonet Ledge that it's unexpected to learn that it's haunted. It's interesting also to hear that, amidst the suicides, there have been those who have been stopped.